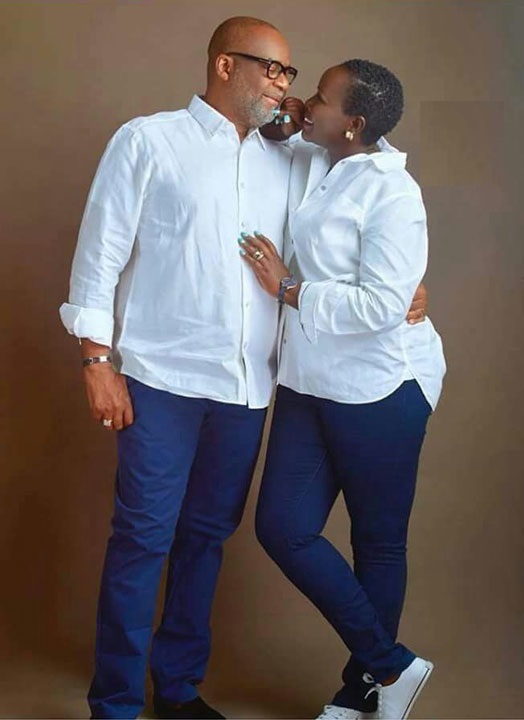 Home / Editor's Choice, Entertainment News, Featured Articles, Lifestyle / EMMY KOSGEI speaks out on making babies with her 60-year old Nigerian husband, Pastor MADUBUKO. EMMY KOSGEI speaks out on making babies with her 60-year old Nigerian husband, Pastor MADUBUKO. Thursday, September 13, 2018 - Gospel songbird, Emmy Kosgei, has been married to 60-year old Nigerian husband, Pastor Anselm Madubuko, for nearly five years but no children yet. The ‘Taunet Nelel’ hit-maker has addressed this issue in an interview with a local magazine claiming that she did not get married to have children. She also made it clear that she’s not in any rush to make babies. “If you are attached to the wrong person, it can affect your destiny. Emmy is happily playing the role of step mother to three children her husband had with his late wife and she says they have accepted her and respect her. make babies unless your matumbo are cooked up.